RMS Titanic departing Southampton on 10 April 1912. The photo shows eight lifeboats along the starboard-side boat deck (upper deck): four lifeboats near the bridge wheel house and four lifeboats near the 4th funnel. 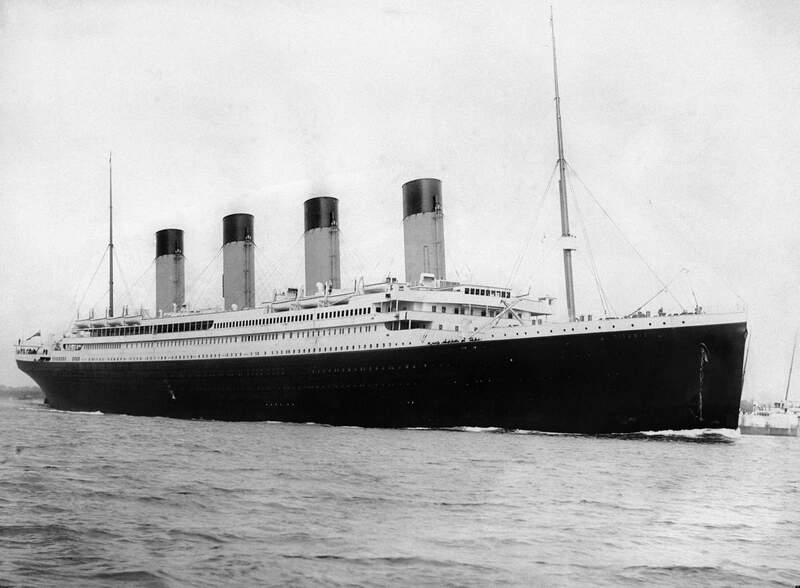 Titanic had a total of 20 lifeboats, comprising 16 wooden boats on davits, 8 on either side of the ship, and 4 collapsible boats with wooden bottoms and canvas sides. On average, the lifeboats could take up to 68 people each, and collectively they could accommodate 1,178 – barely half the number of people on board and a third of the number the ship was licensed to carry. The shortage of lifeboats was not because of a lack of space nor because of cost. Titanic had been designed to accommodate up to 68 lifeboats, enough for everyone on board. And the price of an extra 32 lifeboats would only have been some US$16,000 (equivalent to $415,393 in 2018), a tiny fraction of the $7.5 million that the company had spent on Titanic. But, The White Star Line desired the ship to have a wide promenade deck with uninterrupted views of the sea, which would have been obstructed by a continuous row of lifeboats. RMS Titanic departing Southampton on 10 April 1912. The photo shows eight lifeboats along the starboard-side boat deck .